All 15 UK National Parks are unique with their own landscape character, natural assets and cultural heritage. But we have a lot in common too, and therefore there is much value in sharing issues, experiences and lessons, and keeping in touch with each National Park that makes up our National Park Family. 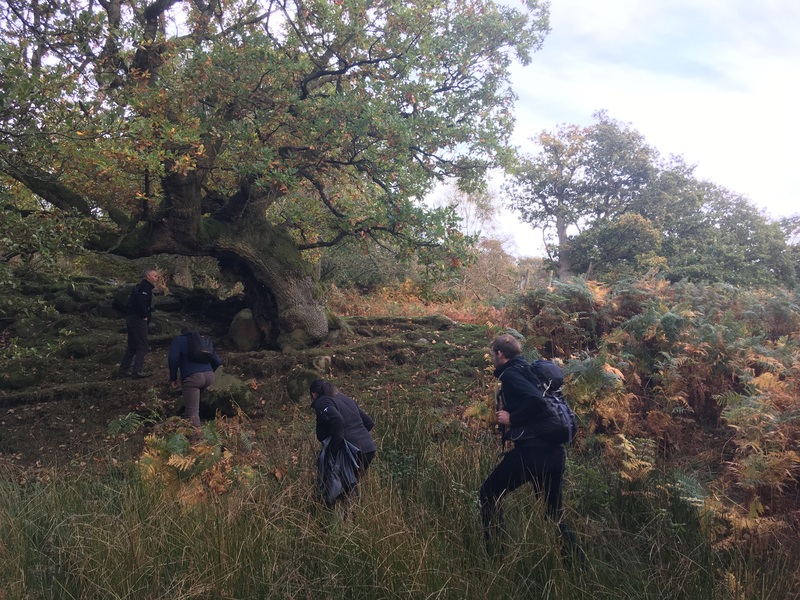 The Tree and Woodlands Officer Group (TWOG) focuses on all things woodland and tree related across the UK National Parks. 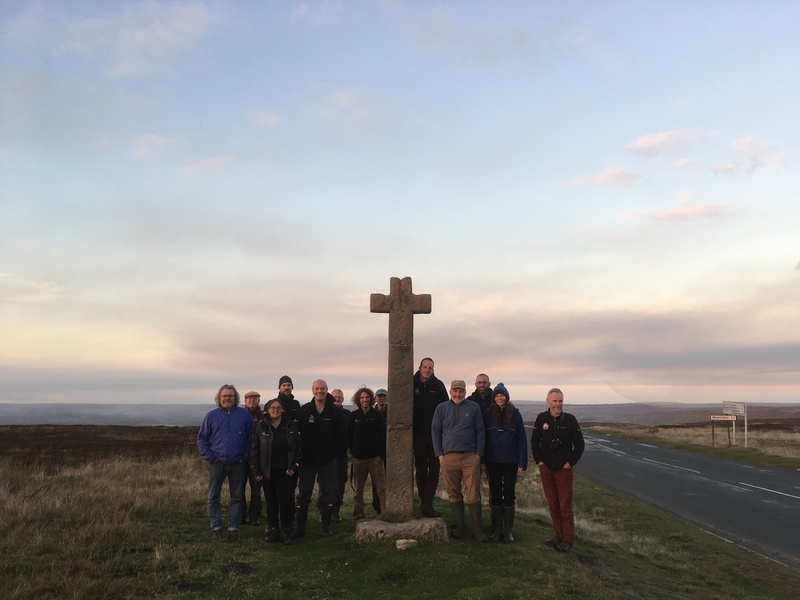 Every National Park’s Tree and/or Woodland Officers are members of TWOG and each year a particular Park hosts an annual gathering so members can get together in person to talk through issues and see what’s happening on the ground beyond their own Park. 2018 was our turn to host the TWOG meeting, so back in October Tree and/or Woodland Officers from other National Parks arrived in Helmsley. 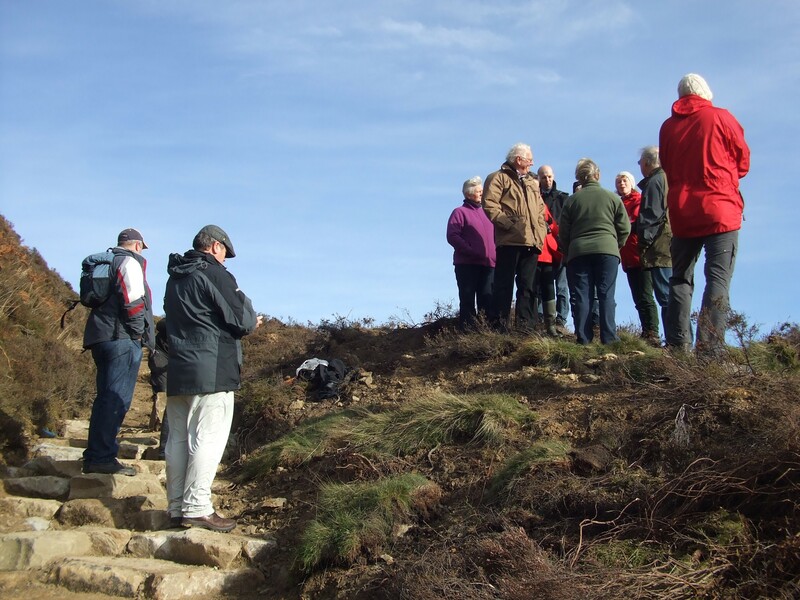 We started with a welcome meeting and an introduction to the North York Moors by Andy Wilson, our Chief Executive. 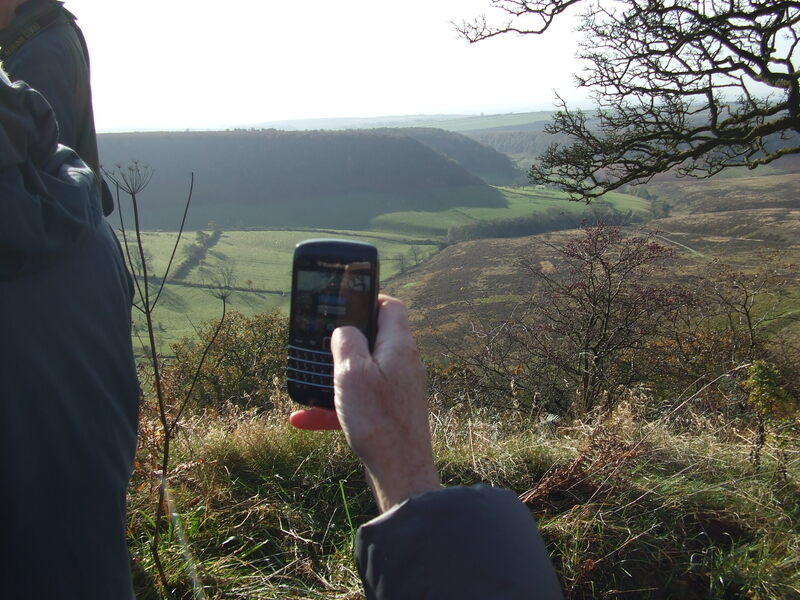 We then headed out to Bilsdale stopping at key vantage points to look over woodland creation projects past, present and future throughout this linear north/south dale. There was a discussion around each National Park’s approach to tree planting and about the finer details of woodland creation such as landscaping, appropriate locations and grant support. 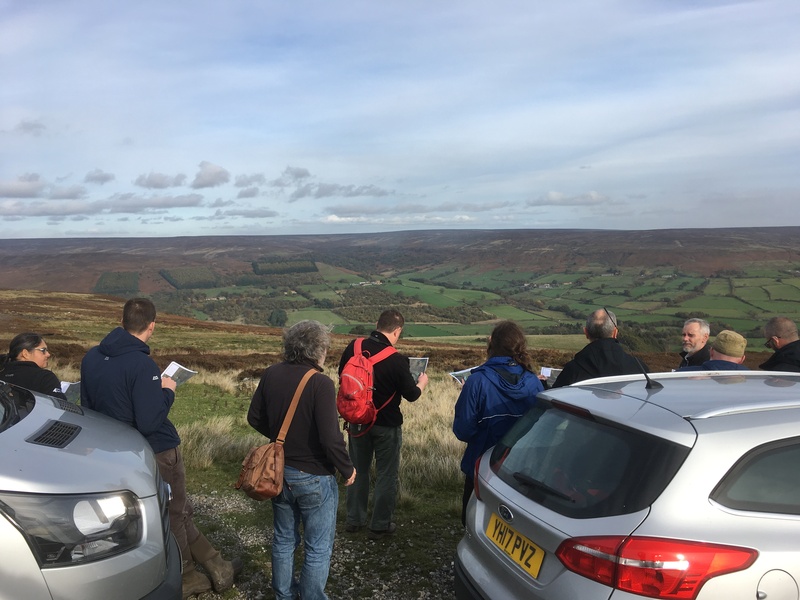 For the North York Moors woodland creation is a priority and we have resources available to work with landowners to facilitate this. We’ve started with smallish individual sites but are starting to develop a more targeted strategic approach for the future. We then headed up into Tripsdale Site of Special Scientific Interest (SSSI) which is valued for a mix of habitats. Within the area is High Wood which includes as many as 300 ancient and veteran trees. We considered the management of the Ancient Semi Natural Woodland area as a whole and also the invaluable irreplaceable individual trees. High Wood is a wood pasture – a grazed woodland – but currently the sheep are fenced out as we’re establishing young trees to help maintain succession on the site. That first evening we had a talk by Professor Ian Rotherham from Sheffield Hallam University on ‘Shadow Woodlands’ and the significance of scrub. Shadow woodlands are essentially areas that still have remnant trees and woodland flora but are no longer woodland as such – they could provide appropriate place to target for woodland re-creation in the future. 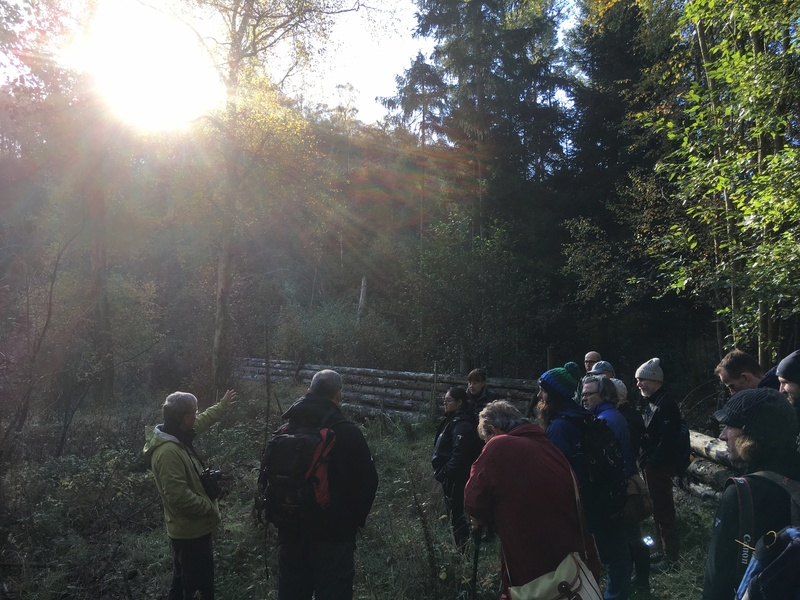 The next day we headed off to the Forestry Commission’s Cropton Forest to have a look at their natural flood management features on Sutherland Beck. These features, such as woody debris dams where installed as part of the ‘Slowing the Flow’ project aimed at abating past flooding issues in the town of Pickering downstream. 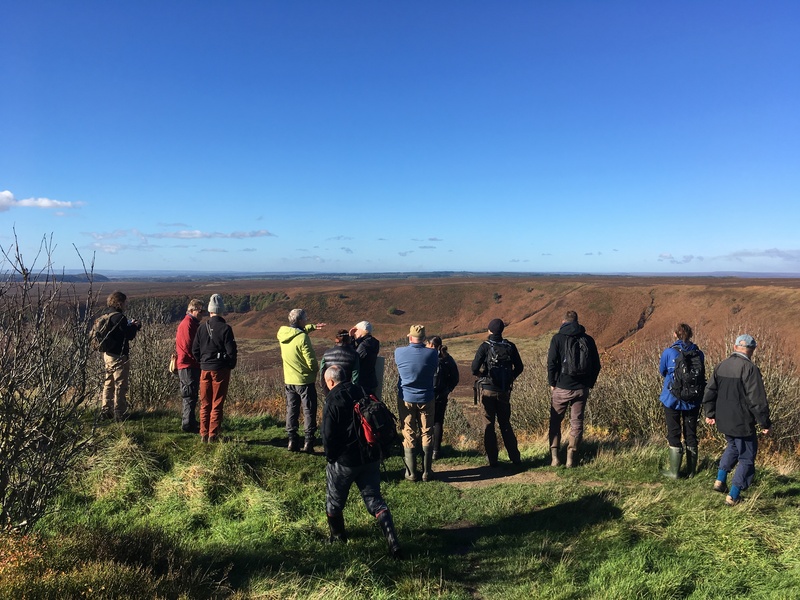 We then travelled north and after a quick stop at the Hole of Horcum on Levisham Estate to discuss past tree planting for landscape and natural flood management reasons, we stopped in Glaisdale. 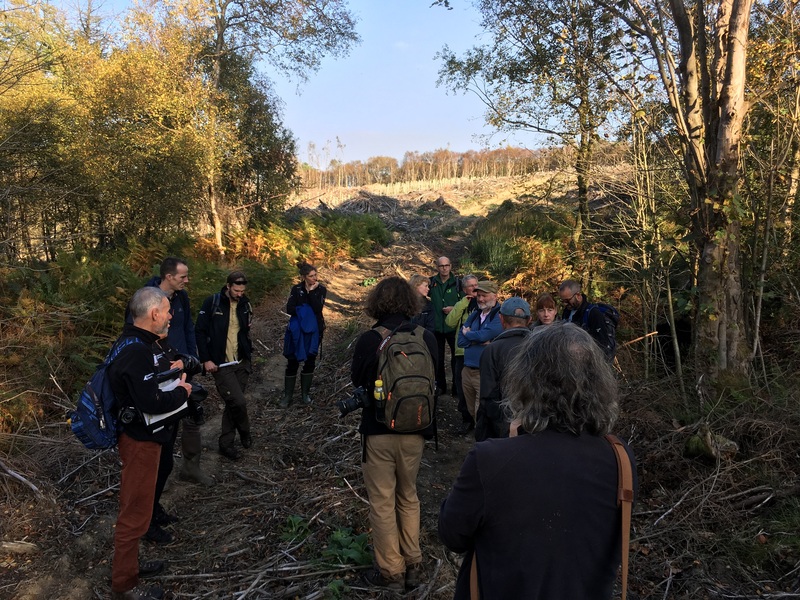 We went into the West Arncliff 44 hectare woodland site to look at the work that began 6 years ago to convert part of the woodland from conifer plantation back to native broadleaved woodland. This site demonstrates the long term commitment required to achieve PAWS restoration. It’s part of a wider site that includes SSSI and Special Area of Conservation (SAC). We also got to see the nationally scarce Killarney Fern (Trichomanes speciosum). This visit inspired debates, discussions and recommendations around the challenges of restoring ancient woodland in hard to access sites. The last stop of the day was at a vantage point above Fryup Dale. This site provided the opportunity to discuss wood creation (again), work to integrate historic commercial forestry into the landscape and other woodland issues on a landscape scale. Sharing perspectives and comparisons from different National Parks was very illuminating. That evening we listened to another two fascinating talks from invited speakers. 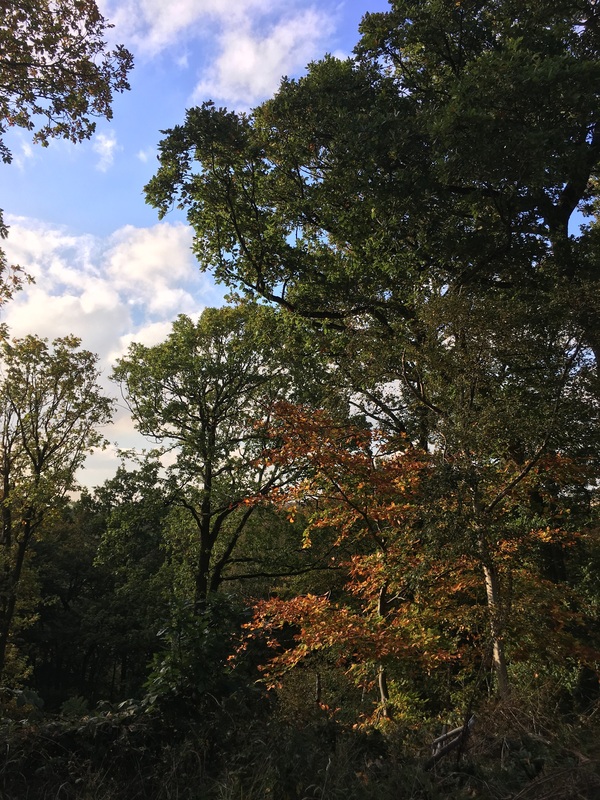 Nationally renowned woodland expert George Peterkin presented on Lady Park Wood, a woodland local to him in the Wye Valley, examining the context of a woodland not managed for 15-years and lessons that can be learnt. Brian Walker, who worked for the Forestry Commission for over 40 years, presented on the interconnected biodiversity of the Forestry Commission’s Langdale Forest. On the morning after we closed with a formal meeting considering national issues such as Brexit implications for grant funding and payments for public goods, as well as woodland management and woodland creation (yet again). Then everyone went back to their home National Parks. TWOG is just one way in which the National Park Family works and communicates with each other. I am glad it all worked out, even the weather was good and the autumn colours looked fabulous. 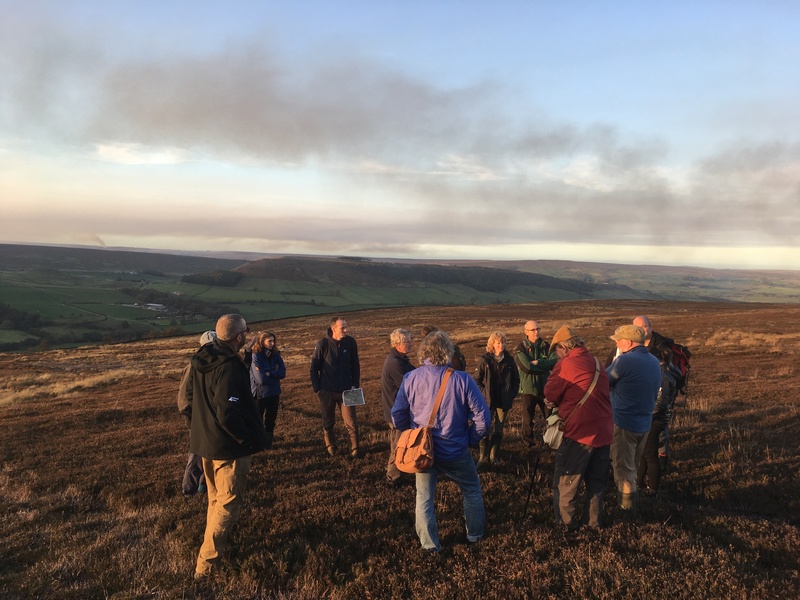 I am very grateful to have had the opportunity to host such dedicated and experienced woodland representatives here in the North York Moors. I’m already looking forward to the next TWOG meeting, in 2019 at Snowdonia National Park. Every day (when I am not at my desk) I take the dog for a walk past ‘the view point’ and every day I love it! How could you not? My favourite version of the view is when the wisps of mist are still stuck to the trees in the valley even when the rest of the morning mist has long since left. I get to admire the landforms – Newtondale, the finest example of a glacial-lake overflow channel in England, carving through the striking two tiered moorland plateau. If I time it right I can hear and sometimes see a steam train chugging and tooting its way into Levisham Station down in the valley. What makes this view extra special for me in particular is that it comprises part of Levisham Estate which I manage, alongside our Senior Ranger David Smith, for the National Park Authority. Between us we ensure that the Estate, which has been owned by the Authority since the 1970s, is managed for National Park purposes. As well as the stunning landscapes it boasts some outstanding wildlife habitats and a full range of archaeological curiousities including scheduled monuments. It’s not just me that thinks its special. The majority of the Estate is designated as a Site of Special Scientific Interest (because of succession habitats, botany and geology), with the moorland also being designated as a Special Protection Area (because of merlin and golden plover populations) and a Special Area for Conservation (because of heathland habitats). Improvements to the moorland grazing regime via a traditional Countryside Stewardship Scheme (2003-2013) and continued through the current Higher Level Stewardship agreement with the Commoners (Levisham Moor is Common Land). Hole of Horcum area in 2015 showing positive results of bracken control . Bracken has also been specifically controlled on areas of high archaeological value at Rhumbard Snout and Dundale. 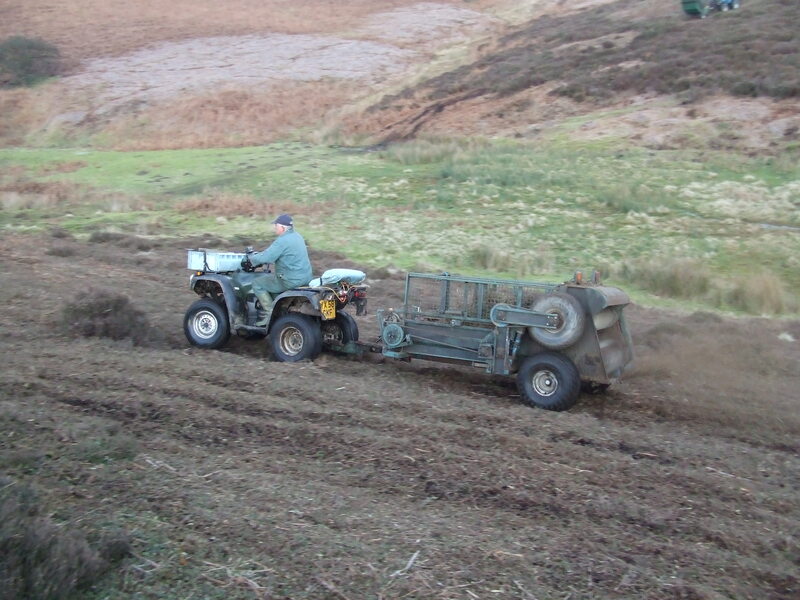 Scrub control on wet grassland habitat at Station Field 2008. 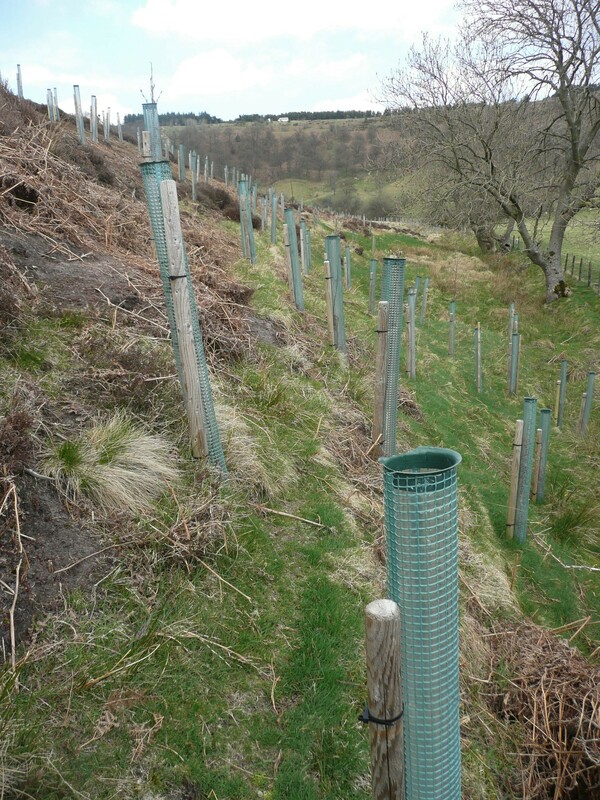 Tree planting in the Hole of Horcum 2011 as part of the Slowing the Flow at Pickering partnership project. 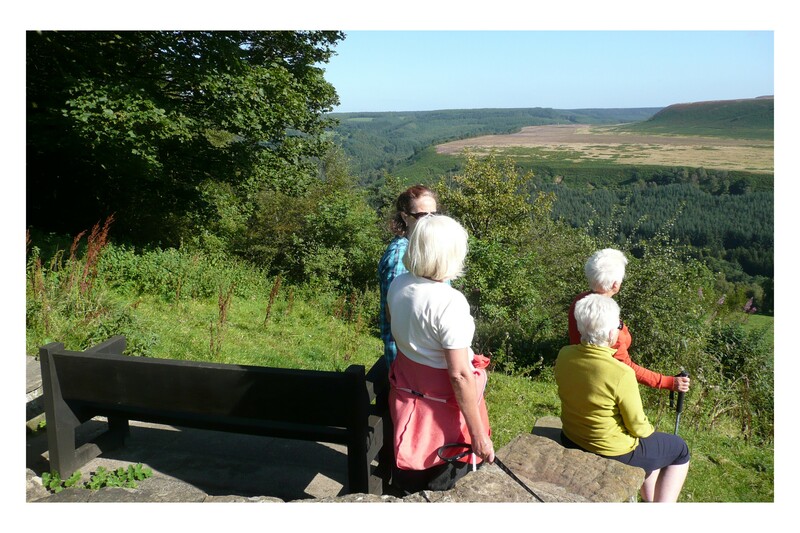 Access improvements being shown to National Park Authority Members – pitched path in the Hole of Horcum 2013. The Estate is a great place for volunteers to get involved. 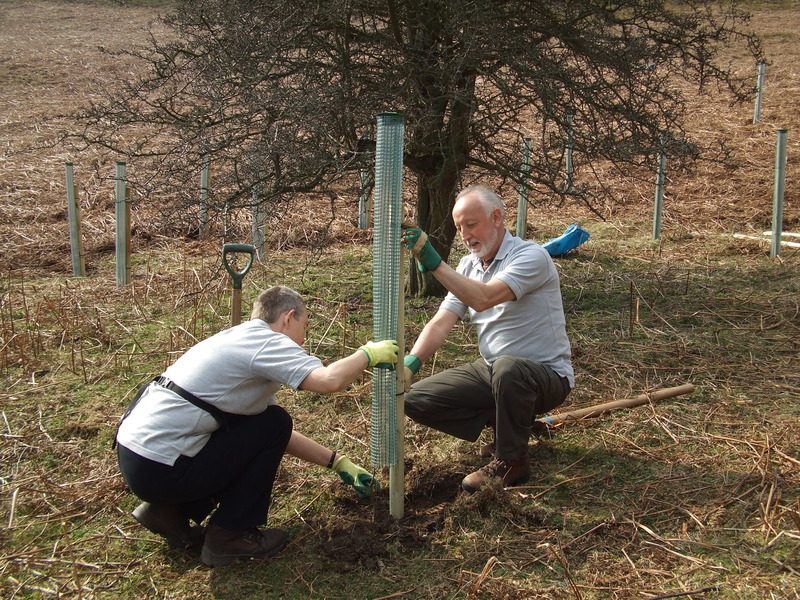 Over the last few years 4,000 of the trees planted are thanks to our committed volunteers. 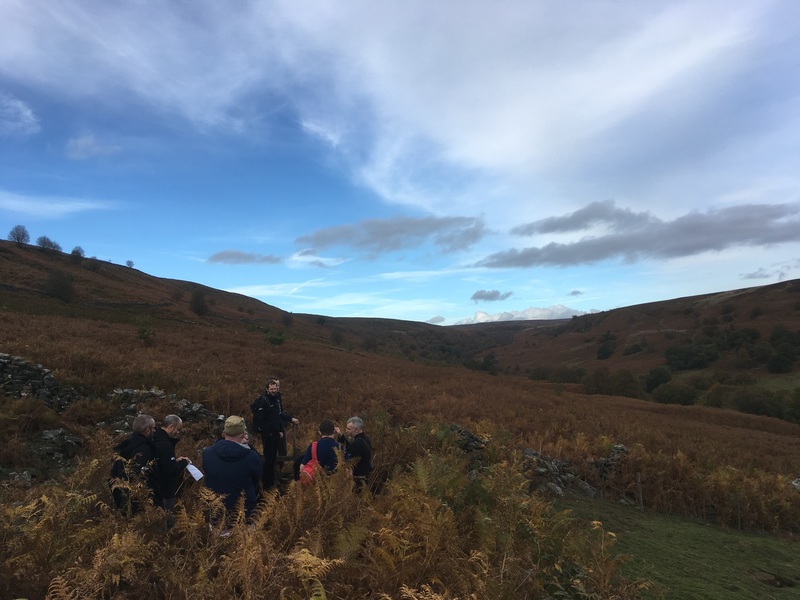 It has also proved to be a useful place for our Apprentice teams to practice their newly learnt skills including heather burning, bracken and scrub control, and fencing. The Levisham Estate is a big commitment and a rewarding place for many people, not just me. I confess that I am feeling rather reflective at the moment as a couple of colleagues who have been working at the Park for even longer than me (over 18 years) are about to leave. I grew up near to Levisham Estate and have seen the changes close up, over time. 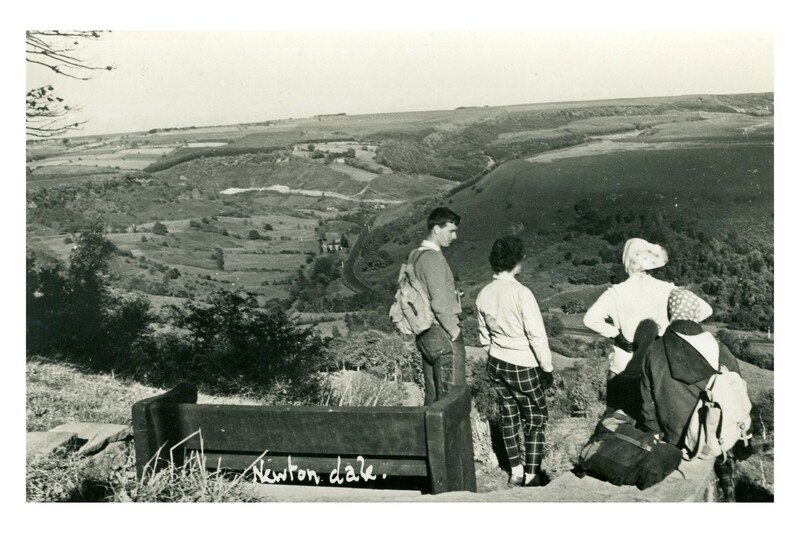 A few years ago the following photos of ‘the view point’ were included in the ‘Now and Then’ photographic exhibition at The Moors National Park Centre, Danby. It was rather strange, but striking, that on the day I went to take the ‘now’ photograph there just happened to be four walkers sat on the bench. They were fascinated to see the level of change to the landscape and fortunately were very happy to be slightly rearranged to replicate the ‘then’ photograph. I wish that my favourite view in the National Park was tucked away somewhere that nobody else knew about – but it isn’t. 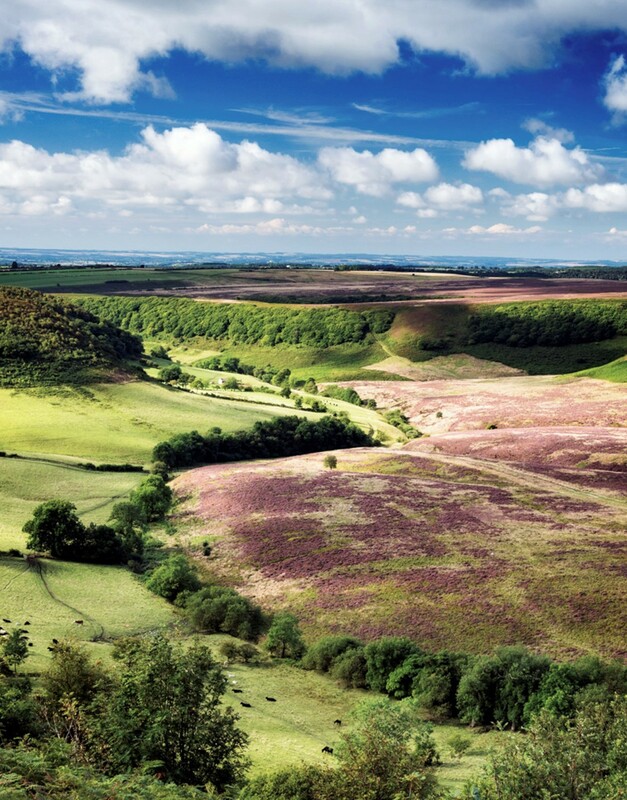 Instead it’s one of our most photographed views – the Hole of Horcum within Levisham Estate. Not only is the view stunning but it has also proved to be a key location for landscape works towards the Slowing the Flow in Pickering project. Work began on 8 January 2014 on the bund at Newbridge which will store flood waters upstream of Pickering. 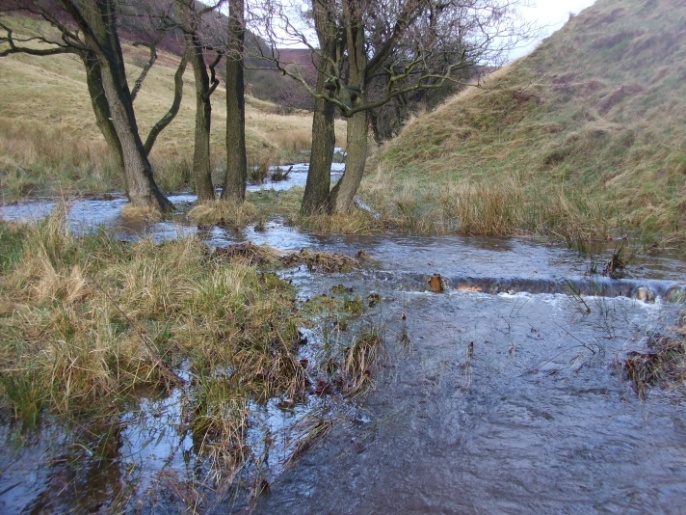 This work is a culmination of efforts by a number of partner organisations over the last few years to make changes to upstream land management to slow down the water running off the North York Moors and into Pickering Beck before it gets into Pickering town. 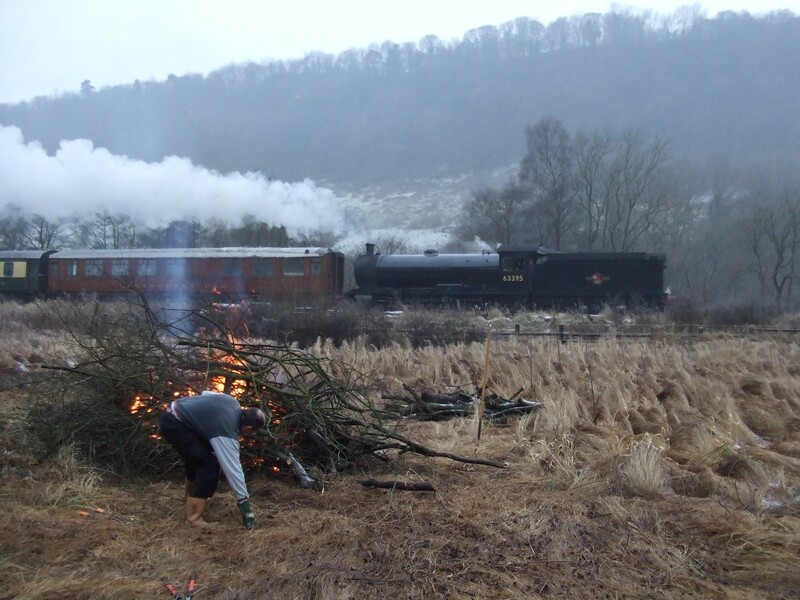 For the last three years the National Park Authority has been busy carrying out the following work on its own land at Levisham Estate. 8,500 trees have been planted since March 2011, mainly locally grown oaks. Nearly half of these trees have been planted by the National Park’s Volunteers. Forestry Commission grant was received for the majority of the planting, via the England Woodland Grant Scheme. 18 timber dams were created by the National Park Authority’s Modern Apprentices. 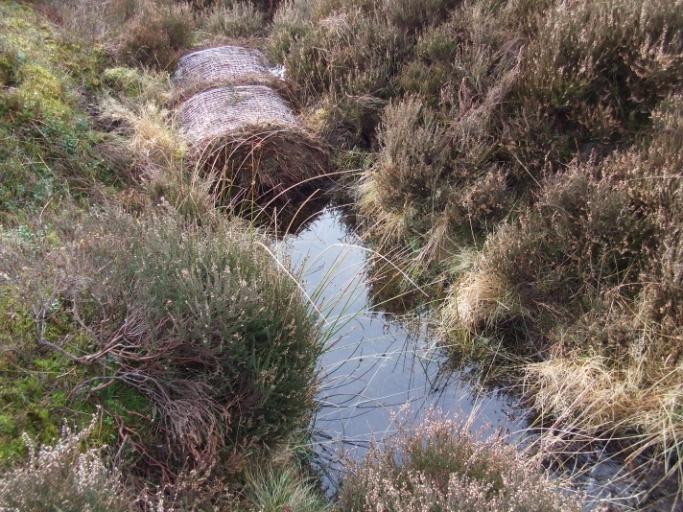 The National Park Authority has spent £7,000 on partially blocking natural occurring moorland gullies with heather bales on various parts of the Estate. 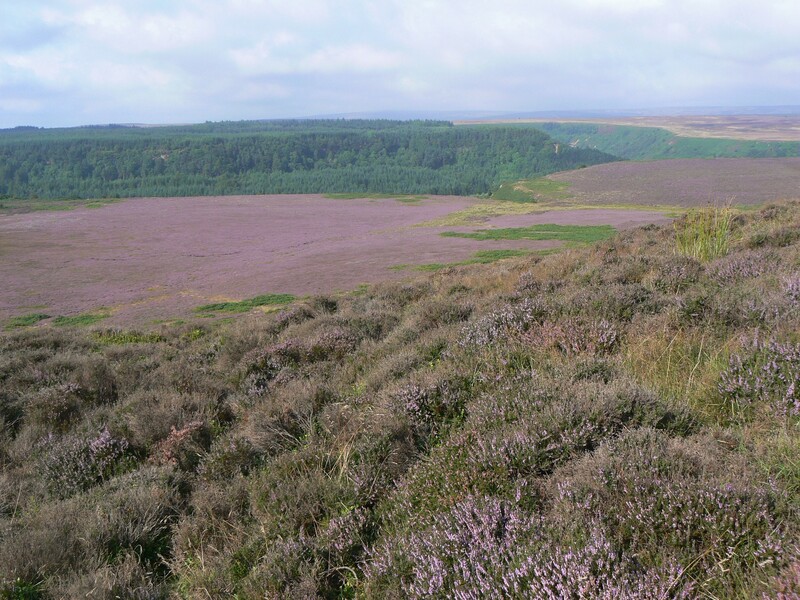 Heather brash has been spread in the Hole of Horcum to aid re-vegetation after the previous years’ bracken control left areas of bare ground. An eroding footpath into the Hole of Horcum has recently been repaired with improved drainage that will slow down run off along the route. 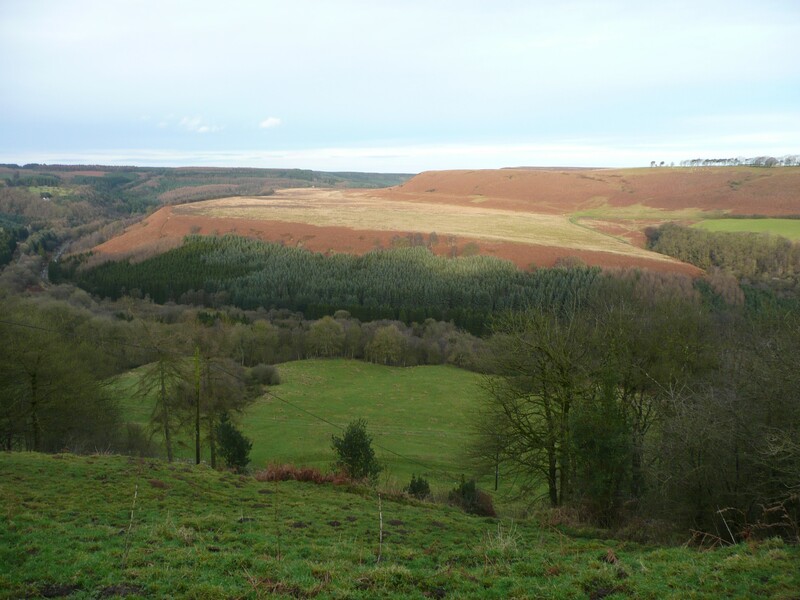 A new Environmental Stewardship Scheme agreement on Levisham Moor includes 10m no-burn buffers alongside watercourses leaving the edges vegetated through out the year. The hope is that with this type of beneficial land management established upstream of Pickering, along with the creation of the bund just to the north of the town, the chance of extreme flooding events will be lessened in the future. 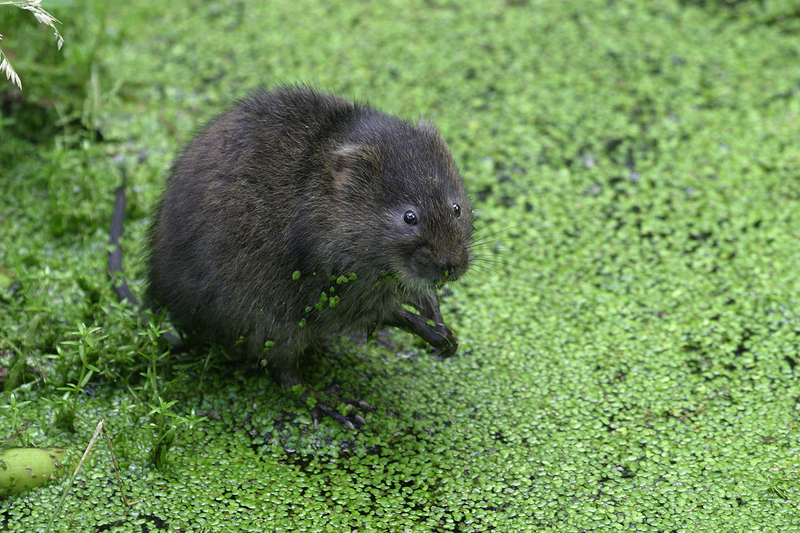 There is often a gloomy tone to reports on Britain’s water vole (Arvicola amphibious) populations. For example, an Environment Agency spokesman has said that numbers in the UK are thought to have fallen by over 95% since the 1970s and a further 20% since 2011. But recent work by University of Aberdeen researchers shows that water voles can move from further from place to place than had been thought previously. This behaviour could give them a better chance to adapt to changing conditions, but only if there is still suitable habitat to act as corridors for them to travel through. and importantly, the major landowners in the area, are sympathetic to the needs of the animal and try to manage their land accordingly. Water voles need lightly-grazed wetland habitat extending beyond the immediate banks of slow flowing becks and rivers. 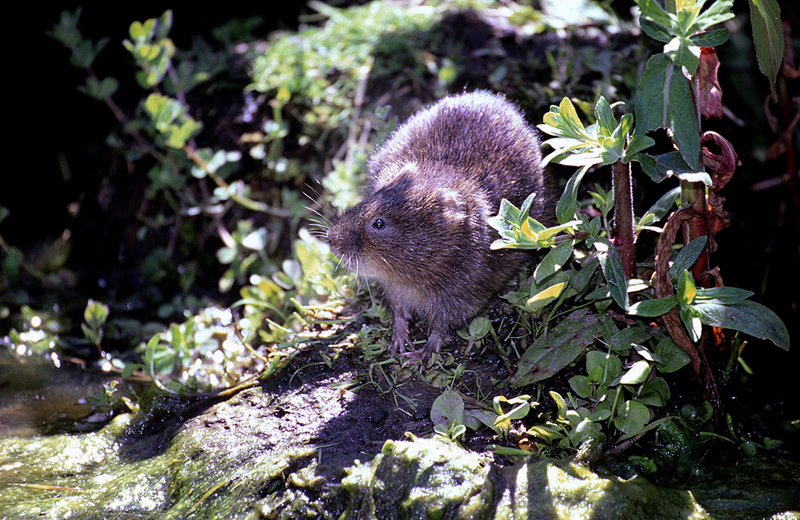 Legal mink control can give the water vole a better chance of survival, although good wetland habitats provide better cover for the voles to escape the attentions of all potential predators. We’re definitely not complacent though. The habitat connectivity programme we’re rolling out in the North York Moors will help to reconnect fragmented areas of valuable habitat and should give the water vole more chance to safely relocate and hopefully spread out. 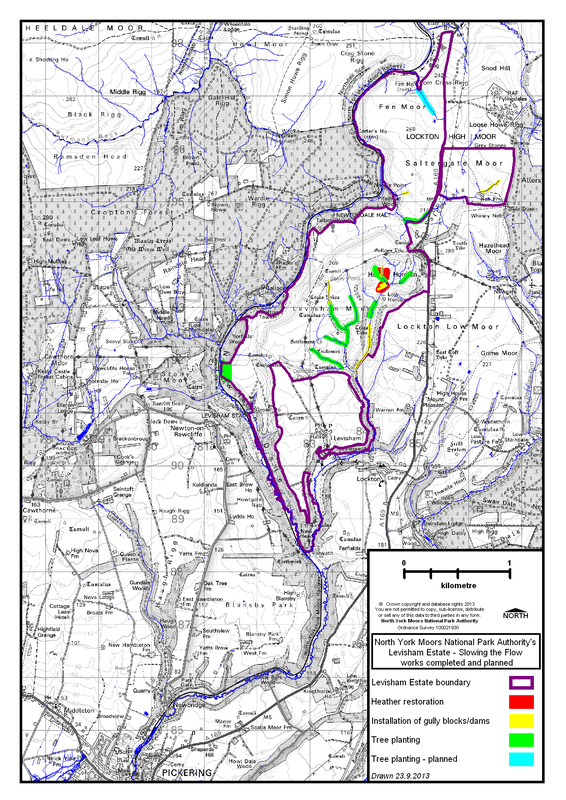 Peatland restoration on a number of moors over the last few years, plus the ‘Slowing the Flow’ project above Pickering, is resulting in water being held back for longer on the higher ground and the run off during heavy rain slowed. This is an advantage for water voles (slower-flowing watercourses and less flash flooding of their burrows), as well as hopefully for people living further downstream.